Welcome to the Team LDN crowdfunding page. 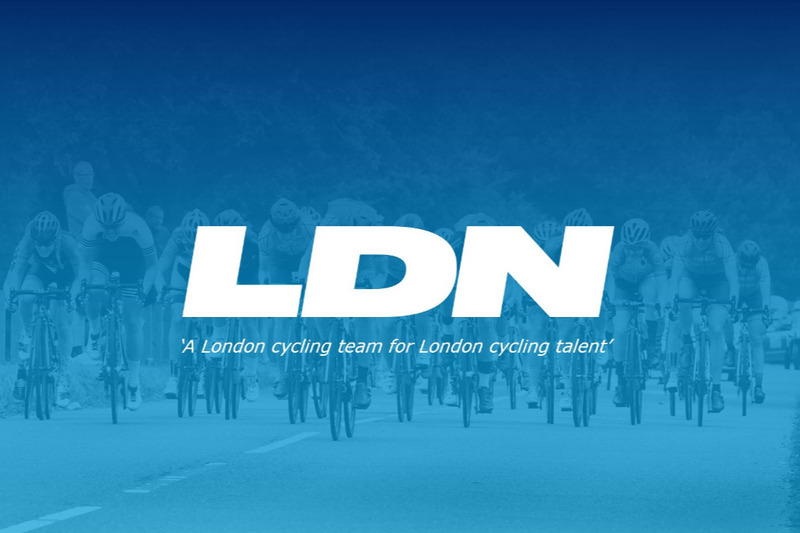 Team LDN is a newly formed London-based cycling development team, launching officially for the 2019 season, setup by Ian Watson & Drew Morris. Team LDN is fully setup, with a roster of 18 riders on board – 8 women & 10 men. We’ve already begun riding and training together as a team ready to hit the 2019 season, and we have begun planning a number of races & events that will provide the team with the minimum funding required to subsist next year. However, we believe that our riders deserve more support than just the bare minimum, and indeed require this extra support to enable them to maximise their potential in this sport. And that’s why we’re here asking you to kindly support our riders by donating to our crowdfunding campaign. We would like to thank you in advance, sincerely, for your generosity and any funding you choose to support us with. Team LDN is a London-based team for talented London riders, where we aim to support, develop & nurture those riders to enable them to maximise their potential in cycling & racing. The idea for the team was borne out of the success we have seen in our cycling club – CC London – which Ian founded 5 years ago and has coached ever since. At CC London, we have seen a large number of riders try their hand at bike racing, and a good number of these achieve some notable success – riding at national series & national championship races, winning regional medals, obtaining Elite & 1st category licenses, and moving on to join team setups. Through this club’s success, coupled with Ian’s lifelong experience in bike racing, we have gained a good understanding of the British racing scene. Ultimately, we have set up the team because we believe there’s an opportunity to provide a better, more structured, more nurturing setup to help talented riders progress and continue to enjoy the sport once they have progressed beyond the grassroots cycling club scene - for example, if they’ve reached a level where they would benefit from teammates of a similar level, or where a club is unable to help with coaching support or logistics etc. 1) Firstly, we are a team comprised solely of London-based riders, which means that – quite uniquely for a cycling team – we can ride & train together as a team week-in-week-out, and have already begun doing so. 2) Secondly, when setting up the team we have focussed not on what equipment we can provide our riders, but rather what support we can provide our riders. As such, we have put in place a support network that will truly enable our riders to learn and progress as cyclists – a dedicated cycling coach; a team mechanic; a bike-fitting service; a sports psychologist; an applied exercise physiologist; and a small number of volunteers to help with race day logistics and planning such as travel arrangements etc. 3) Thirdly, we want to be a team that remains part of the grassroots cycling community and that commits to giving back – we’ve already organised races in the past, and we will continue this by organising a series of 6-7 races next year in London, as well as running coaching sessions to encourage people (especially women) to try racing for the first time. 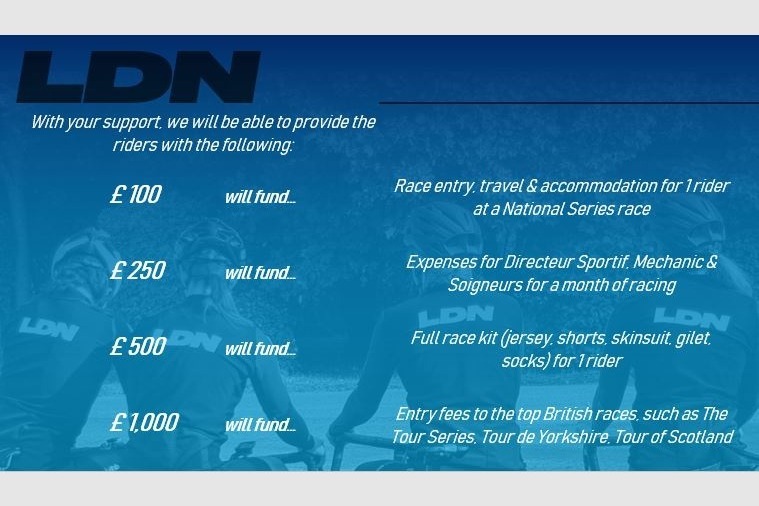 4) Finally, we’re approaching the commercial model of a cycling team differently to most teams, in two distinct ways: Firstly, we’re aiming to diversify our funding streams in such a way to ensure that we’re not wholly reliant on a single sponsor, with the intention of creating a more sustainable future. Secondly, we’re also aiming to build a Team LDN brand, with the identity of the team centred on a location rather than the name of a sponsor – a Home Team for London! Success for the team won’t necessarily be to win races – though we obviously want to see our riders succeed – but rather, success for us will be to maximise the potential of every one of our riders. For some, that may well be winning races, even some of the bigger races on the calendar, or progressing towards a career in pro cycling. For others, it may simply be to obtain a category upgrade, or to gain some ‘big race’ experience they wouldn’t be able to get elsewhere. Our team for 2019 will be comprised of 20 riders – 10 women & 10 men. Within this number we have 2x Elite category riders, 5x 1st Cat riders, & 12x 2nd cat riders, many of whom are relatively new to racing and have progressed through the ranks quickly, showing lots of potential. We’re excited to help these riders progress, learn & develop as riders, to take them from clubs to the continent! Team LDN Ltd is a Private Limited company, incorporated in the UK (company reg no: 11366443). Directorship of the company is held by Ian Watson & Andrew Morris. Funds donated on this page will be released to the Team LDN Ltd bank account, held with Lloyds Banking Group Plc. Full company accounts will be published annually on Companies House. The directors will attempt to respond to all reasonable requests by donators, for ongoing information regarding the usage of their donated funds.